The Peachtree Battle Alliance Parks Committee (“Parks”) works with the City of Atlanta, other stakeholders and third-party vendors to maintain and improve the public greenspaces located within the PBA environs. Sibley Park -- The wooded park at the corner of Habersham and West Wesley. Parks manages the portion south of West Wesley only. Woodward Way Park -- A small area of greenspace at the corner of Habersham and Woodward Way. Undesignated greenspace at the south end of Havenridge Drive. The greenspace located between Woodward Way and Peachtree Creek, from the Northside Drive intersection to the Alton Road intersection. 1. A new PATH trail which will encircle Memorial Park is scheduled for completion by the summer of 2018. A portion of this trail will border the PBA, from the corner of Northside Drive and Woodward Way to a foot/bike bridge which will be located close to the end of Dellwood Drive. 2. 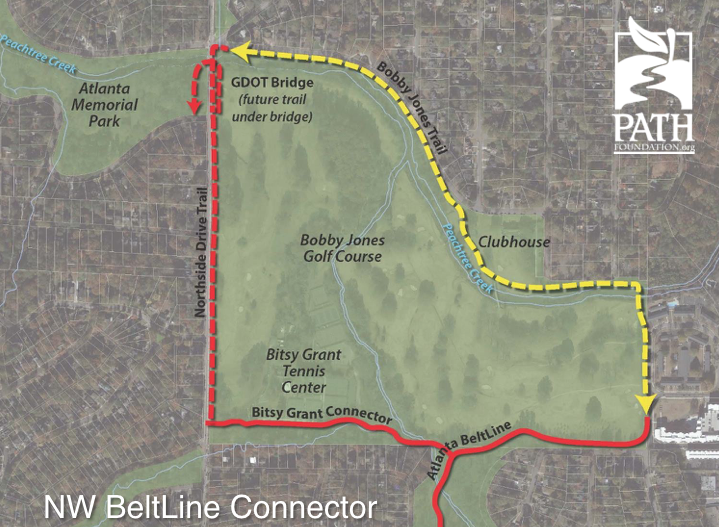 Bobby Jones Clubhouse – Parks is working closely with the City and the State to develop alternate uses for the Clubhouse that will benefit the PBA membership. 3. 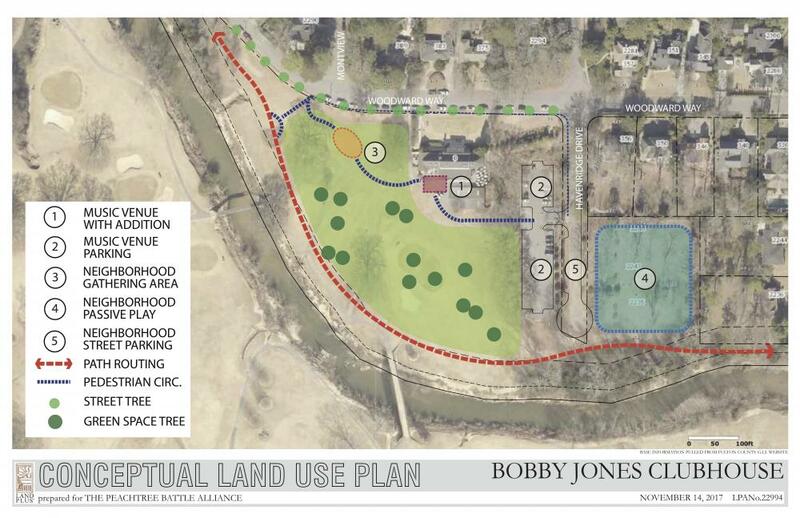 Bobby Jones Clubhouse Grounds – Parks is working closely with the City and the State to formulate a plan for these grounds that will benefit our neighborhood for many decades to come.